Here are some pics of another project I'm working on. I worked on getting some instruments painted for my B767 MIP. I got these on EBay for cheap and modified them to make them look like the real ones. It took some time with automotive paint and mixing together other paints to achieve a Boeing match. Still need to get the glass face put back in maybe do that this weekend. Looks Good Perry, that's one heck of a project. Sweeeet! Keep the pictures comin! This is awesome! Those instruments should have internal lighting usually 5V...?? Jack...I modified the RMI and replaced a few things like the broken glass, updated the frame, removed a few things like the internal lights from this unit. Here is a picture of it....is it possible to reinstall and have it work? I actually replaced my instrument bulbs with led’s. Just find the size you need. I interfaced them with my FS Nav light fsuipc offset. So when the Nav lights go on, so do my instrument lights. Trevor that sounds interesting...I will check it out. I figure its easier to stick with something that I know how to do. Here I bought the LEDS off Amazon and connected it to a power source. Just need help with knowing what the best way is to connect multiple LEDS to one power source and interfacing it with a program like you have. I got the RMI lit....now I need the i struments in the MIP lit. Not sure about the leds. The best is to keep it as is ( do not remove lighting) with the 5V bulbs. I have some real gauges on my MIP and OVH, all with internal OEM lighting. Just use a relay card and interface it as Trev suggested. Below are two pictures with the devices I use. Same idea as what is in your gauges. Mine just goes on the outside of the gauge. My interface cards can drive 2 leds on each output. So I just put them in parallel. The led strips you have are designed for 12V. That will be tricky on your interface. Jack is right though if your not interfacing your lights and just connecting them to a 5v Switch. His idea is better. OK thanks both of you for your help. 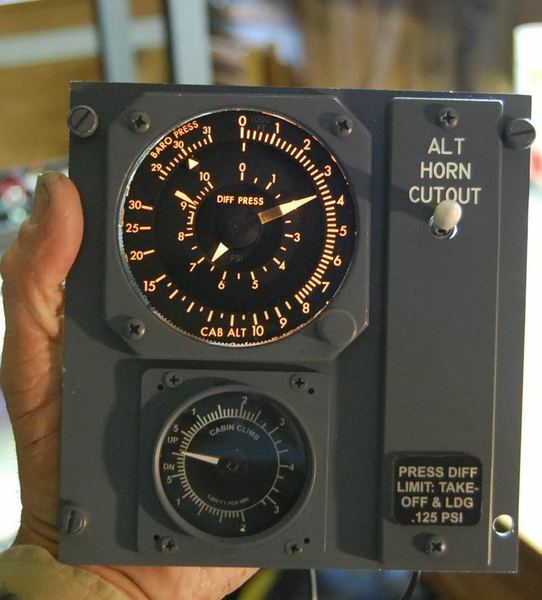 I will look at my other three gauges, the clock, altimeter and airspeed and see if I can get the internal lights to work. 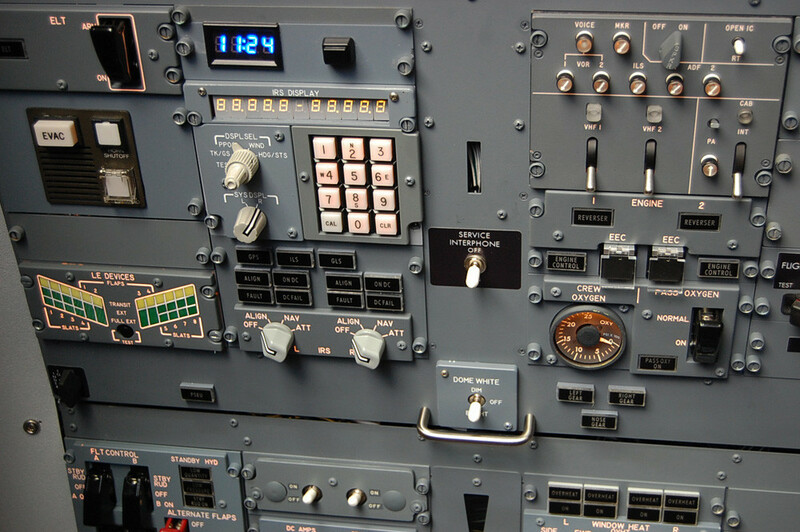 Is it just a matter of seeing which pin at the back controls the lights.? Here is what it looks like in the panel. This is what I like to see...when OEM projects make progress lol! Thanks I have been working on getting the Glare shield out and removing parts from it, now onto sanding all the scratches , and preping for paint. I also got my knobs for the RMI which Im happy to get from Shapeway. If i was to start again i would go for like a real dc-9 or a md-80 or a 757/767. The 757 is really a great choice, not as expensive parts as the 737 but in my oppinion just as awesome aircraft. Way to go...these little devils are super efficient. Haha i also work in a storage that have bad heat in the winter. Thanks. I may just get me one of those to warm up the place. It doesn't help when you're working on removing a part and can't see because you only see your breath. I'm glad to see others are also working in same conditions. This picture was taken on a warm sunny 23 degree day. They have to be hooked up to 240V ! I may have to wait till Spring....when it warms up until then I'm going inside where its warm. I just found another addition to my MIP panel....a stand by horizon indicator. Eventually will understand how to connect it to a power supply to get it to light up. Page created in 0.383 seconds with 26 queries.